Aberrant activation of the c-MET signaling pathway has been identified in multiple carcinomas, including bladder, renal, cervical, colon, breast, ovary, lung, esophagus, gastric, and head and neck cancers. The underlying genetic and functional abnormalities include gene amplification of c-MET/hepatocyte growth factor (HGF) gene loci, c-MET mutation, overexpression of c-MET and HGF due to transcriptional dysregulation or promoter polymorphisms, and autocrine or paracrine activation mediated by cytokines and growth factors. HGF/c-MET signaling promotes an aggressive malignant phenotype, including increased cell proliferation and survival, epithelial-mesenchymal transition (EMT), invasion, angiogenesis and inflammation, and metastasis. HGF and its coregulated proinflammatory and proangiogenic growth factors in serum, as well as c-MET mutation, amplification and phosphorylation in tumor specimens, have been identified as important indicators for patient prognosis and responses to therapies targeting HGF/c-MET. 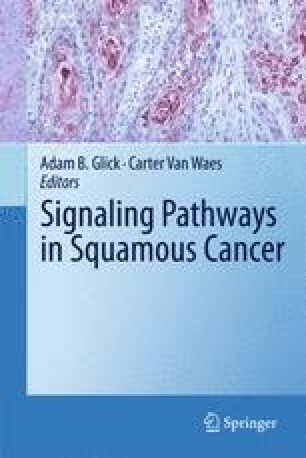 Targeting HGF/c-MET and related signaling pathways are important strategies in the development of anticancer drugs, and a panel of small molecule inhibitors and biological antagonists have been tested in clinical trials. This work is supported by NIDCD/NIH Intramural project Z01-DC-00016 and Z01-DC-00073. The author would like to express appreciation to Dr. Gang Dong (NIAID/NIH), for his effort in reference management and graphic drawing.